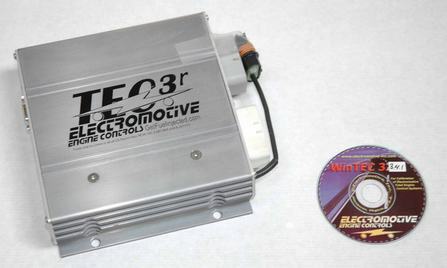 The TEC3r represents the current top-of-the-line Electromotive system. While overkill for most applications, it’s a must for some of the more extreme or exotic applications for which TEC systems are often used. Capable of up to 12 cylinder operation and up to 16 fuel injectors in a staged configuration, the TEC3r helps make some of the more radical engines behave on the street.